Friday - and I tell you about them on a Friday. Wedderspoon Manuka Honey. I've had this giant jar of honey now for about 2 months and it's turning out to be one of the most used items in my beauty stash. I use it for cleansing in a morning, wearing as a face mask for hours at a time (when alone, ha), mixing with my other clay-based masks and applying it to particularly painful spots overnight with a plaster (or band-aid if you're American) to heal and take away redness and pain. It works. The only thing I don't really do is eat it! It has quite a medicinal taste which I'm not really fond of... though to be fair I've never really liked honey all that much anyway. W3LL PEOPLE Narcissist Foundation Stick. I love this thing. I bought it last summer now at the green beauty field trip in LDN (Woah - so long ago, when is the next one?!) & although it's not my everyday go-to foundation, it's definintely more used as a concealer. It's nice and brightening under eyes and the coverage is good when tapped onto blemish scars, I then set with powder and bam, we're good to go. Odacite Bl + C Concentrate. My spot savior. Well, almost. It's not the miracle worker that others have claimed (for me at least). But I do notice a difference when I use it, everything looks a little less inflamed come morning. It's way better for surface blemishes and not so much cystic acne. 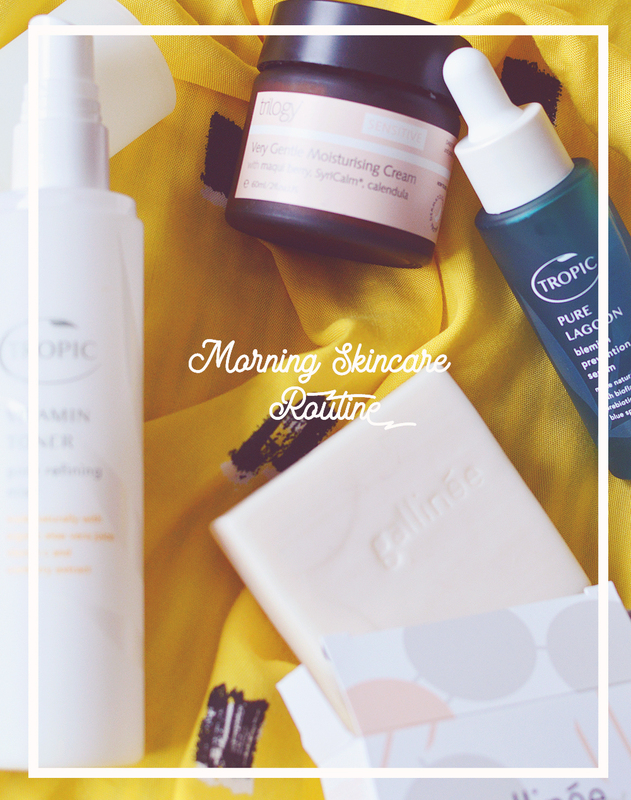 I use it neat or mix a drop with my moisturiser for a little spot fighting ninja addition in my skincare. NATU Silkening Mist*. Silky hair is happening! It's not just all packaging over here people, this stuff works. We've had barely any hot water all week so my showers have been 120 seconds long and there just ain't no time for conditioner, sorry. I've been applying this on damp hair and giving my hair a little massage before letting it dry naturally. My hair is still soft and pretty silky so it must be this! AirMotion Hair brush*. Speaking of a lack of conditioner... tangles aren't a problem with this fancy brush. My tangle teezer has been pushed to the side in favor of this and it's really nice to use a brush with a handle again! It's the little things, huh. It makes light work of knots, even on my crazy mane and on dry hair too! Wow, all of these products have caught my attention! 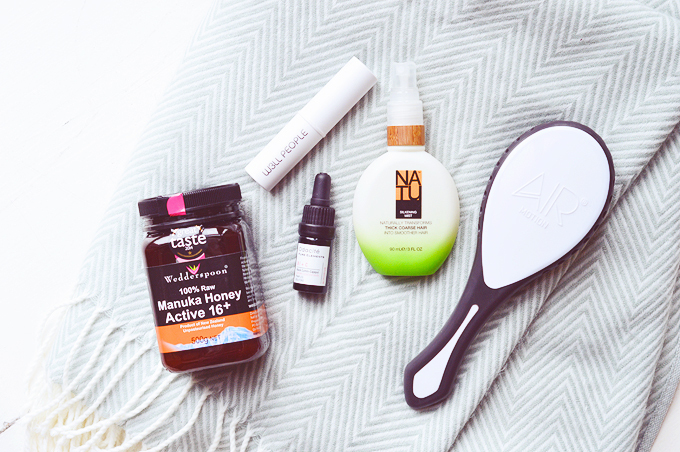 I am a fan of manuka honey as well and have been using it as a cleanser recently. I'd also love to know how the W3LL People Narcissist Foundation + Concealer Stick compares to other concealers you have tried. I've been using a Tangle Teeze, but the Air Motion brush looks like its cooler, older sister. Definitely going on my wishlist! And thanks for the brand introduction to NATU. The Silkening Mist sounds great as I take short showers too.